I love the idea of seeing out the year in such an incredibly beautiful location. The quiet wilderness of Nellim with its snow-covered scenery and fresh clean air (Nellim has some of the cleanest air in all of Europe by all accounts) will really allow you the space to reflect back on the previous twelve months and look forward to the year ahead. What's more, the Aurora potential here is incredible, so there is an incredibly high chance you'll be gazing up at Auroras as you sing 'Old Lang Syne'. 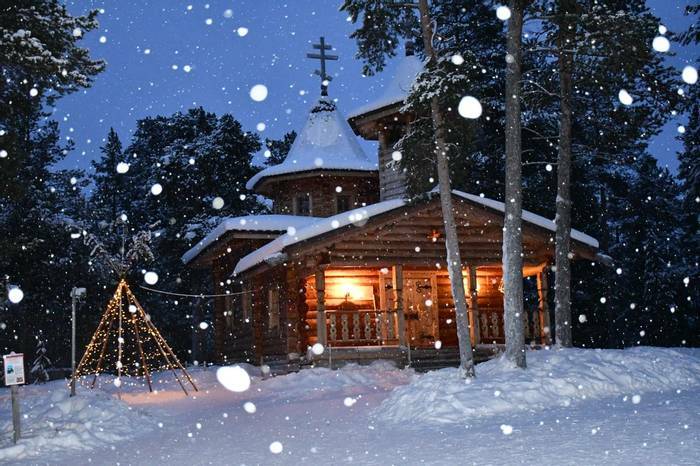 Enjoy the wonders of the wild during this seven-night holiday to Finnish Lapland. 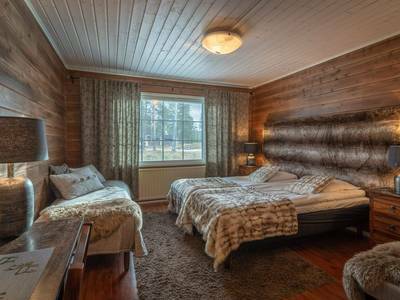 Staying at the Wilderness Hotel Nellim, you will see in the New Year with hotel celebrations and make your holiday memorable with included activities such as a husky safari and snowmobiling. 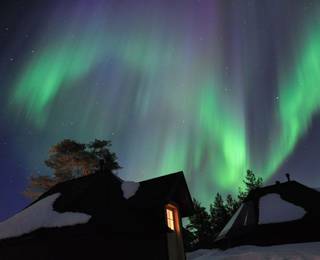 There are also four dedicated Northern Lights hunts on the itinerary! 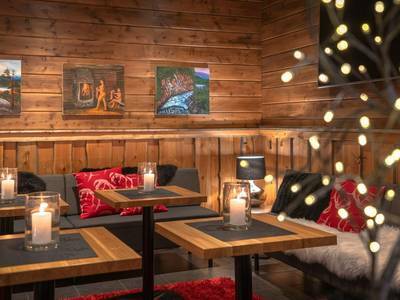 For a New Year celebration with a difference, this trip should tick all the boxes, offering a wonderful combination of activities, fantastic Northern Lights prospects and an astonishingly beautiful backdrop. 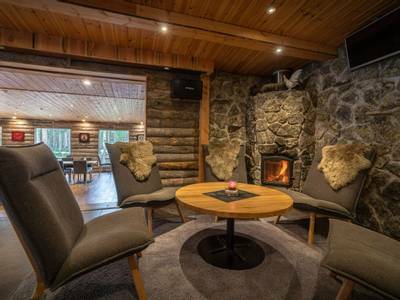 During this holiday, you will stay at Nellim Wilderness Hotel in the north- east corner of Finland. 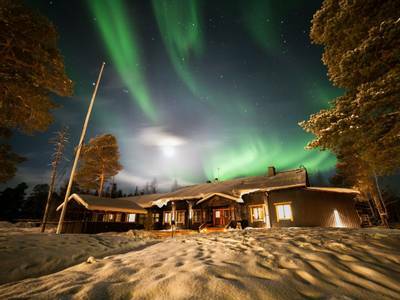 The hotel resides in a remote location amongst the forested fells and near the banks of the vast frozen expanse of Lake Inari. As a family run hotel, it offers a warm and hospitable welcome and the exceptional guides charm our guests annually. The remote location and minimal light pollution, of course, means there is great Aurora potential, Nellim certainly exploits this potential where possible. 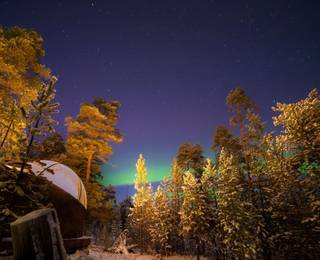 The hotel guides have created numerous Aurora Camps that are used for the evening Aurora hunts. These are handpicked sites either around the lake or in a forest clearing, which offer unobstructed views of the night sky. They are the destination for many evening activities here. 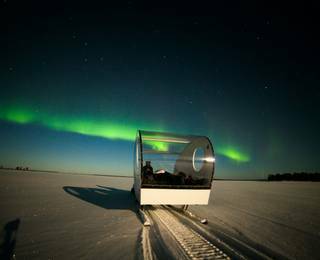 Nellim offers four Aurora Bubbles, these perspex-domed rooms provide guests with the chance to view the Northern Lights from the comfort of their bed. There are also several Aurora Kotas, which combine a traditional cabin structure with a half-glass covered roof; perfect for potential Aurora spotting. 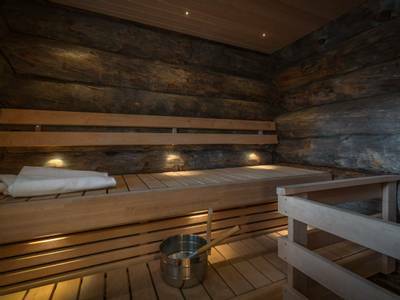 A real favourite with couples is also the heated Aurora sleigh at Nellim which offers panoramic views of the sky and scenery – ideal for a private Northern Lights safari on one of your free evenings. Details of these upgrades can be found in the 'personalise' section of the holiday page. This itinerary is one of our most active, with varied and exciting activities throughout. Included in the holiday are a wilderness snowmobile safari and an unforgettable dog sledding experience. 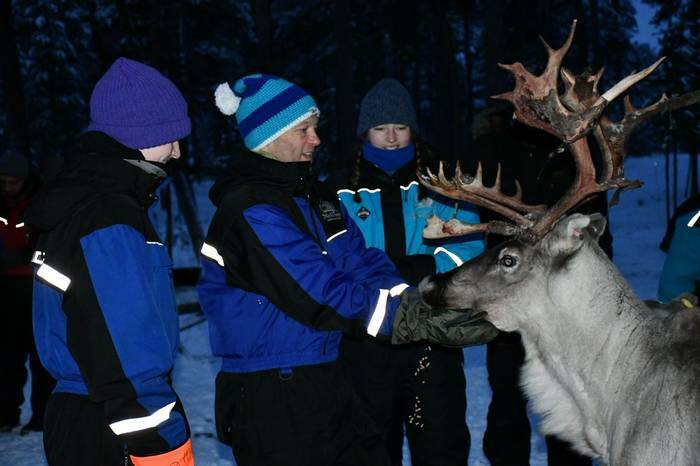 You will also visit a reindeer farm via snowmobile, try cross-country skiing and snowshoeing in the forests. 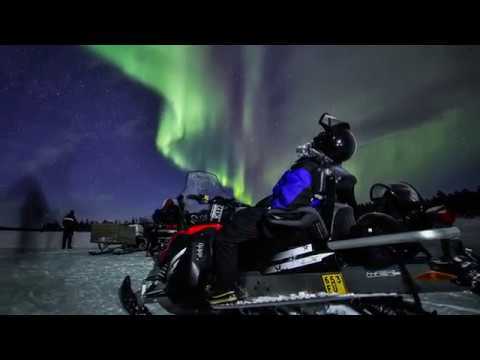 Evenings are dedicated to seeking out the Aurora with hunts via snowmobile, snowshoe and minibus. Success, can of course never be guaranteed, but given Nellim's almost total lack of light pollution and the enthusiasm and local knowledge of the guides, your chances here are very high and we do all we can to help you achieve your goal. In our opinion if you are looking for an active way to welcome in the New Year in style, then you need to look no further. 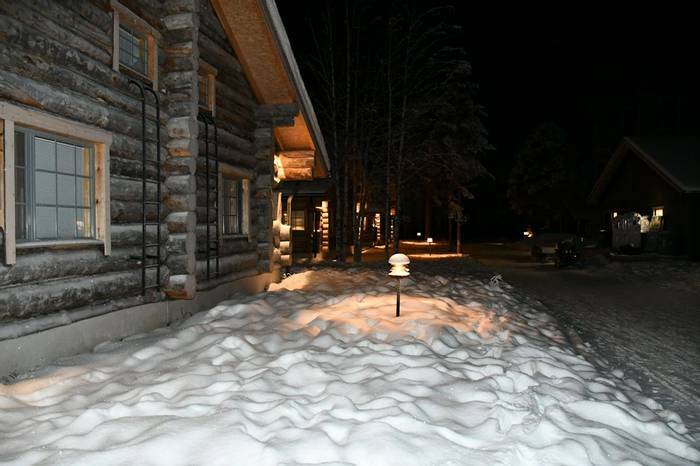 Upon arrival in Lapland, you will be welcomed by your driver before being transferred to Nellim. 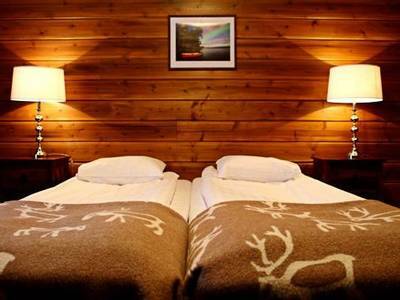 You will be given your Aurora alert and cold weather clothing, which is yours for the duration of your stay. 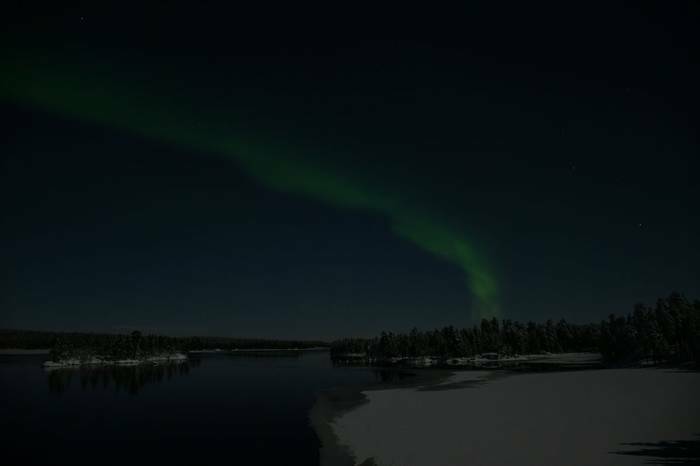 After enjoying dinner in the hotel tonight, remember to look to the skies, as the Northern Lights may well make an appearance for you tonight. Your first full day at Nellim will begin with a chance to have a go at one of Finland's most beloved pastimes – cross country skiing. 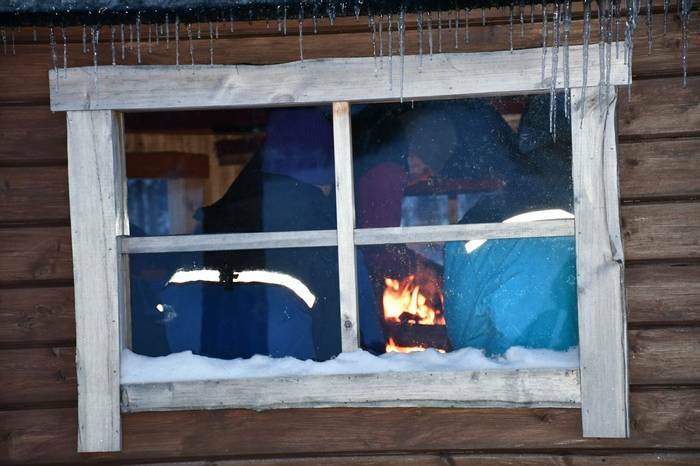 This activity is not only quintessentially Finnish but is also a great way to take in your surroundings for the first time. After you are set up with your skis and poles you will be given full instructions (we assume no prior experience) before heading off on one of the many trails which surround the hotel. The pace is relaxed and you will be out with your guide for around two hours, giving you the chance to take in the scenery and possibly even some wildlife. After your guided instruction you will have the cross country skis for the remainder of the day so can set off independently on a trail should you wish. Many guests also like to hire the skis later in the week to explore independently. To celebrate New Year's Eve, the hotel provides a range of festivities for guests and everyone gathers to celebrate together. A special meal will be prepared and you will be able to sample some local delicacies. Late on in the evening, all guests normally take the short walk down to the frozen lake to welcome in the New Year with some sparkling wine. This is a low key but very special affair and we strongly recommend welcoming in the next 12 months under the night sky, enjoying this very special location and, with any luck, a spectacular display of the Northern Lights. 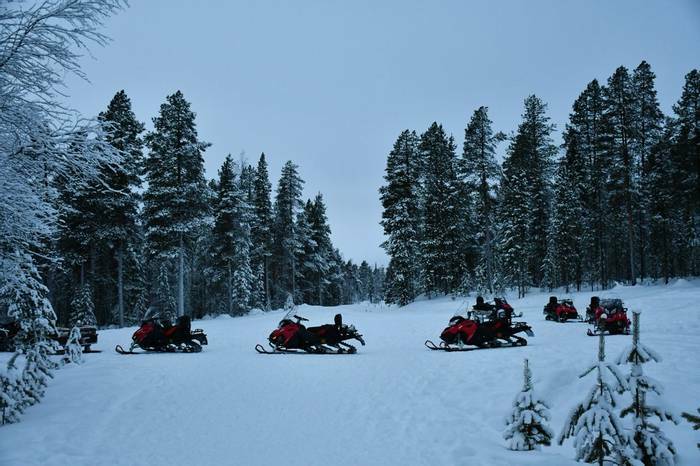 Today you will be enjoying a thrilling snowmobile safari, giving you the chance to really start to appreciate the scale of the wilderness which surrounds the hotel. After full instructions and a safety briefing, you will hit the trails, travelling two people per snowmobile, covering between 40 and 60km, over approximately four hours. Your guide will lead you through forested fells and over frozen lakes before the group break for a campfire lunch. You may swap drivers so that you can each take it in turns to drive the snowmobile (providing you carry a full driving licence and are over 18). Following your day in the wilds, you will enjoy dinner in the hotel tonight. You will then take part in an Aurora workshop given by one of the guides before you head out on your first Northern Lights hunt. This will introduce you to the science behind the phenomenon and the myths and legends that the Aurora has inspired over the years. The guide will also discuss photographing the Northern Lights and the optimal camera settings required to take the best picture. Tonight you will be participating in a guided snowshoe walk where you will be led to a local vantage point offering clear views of the night sky. Seeing the landscape at night is of course completely different to your daytime exploration. Furthermore, it is a wonderful opportunity to walk under the star-filled sky and hopefully gaze upon a magnificent Aurora display. You will be out for approximately two and a half hours tonight. Please note that all of the snowmobile safaris within your agenda are based on two people sharing. If you would like to drive your own snowmobile, a single supplement will apply. To drive a snowmobile, you must be over 18 years old and have a full driving licence. After yesterday’s evening exploration, today you will set out for a daytime adventure on snowshoes. Following your guide, you can enjoy areas that are out of bounds for snowmobiles and dog sleds, and this peaceful activity offers a chance to encounter some of the local wildlife as you explore during your four-hour trek. 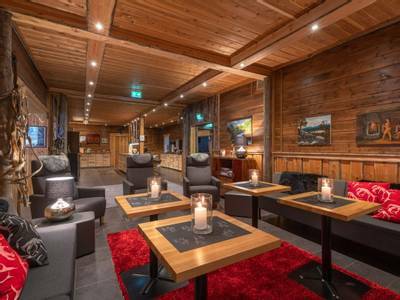 You will have lunch and warm drinks around a campfire before returning to the hotel. We have left this evening free for you to relax. You may wish to enjoy an additional Northern Lights experience such as a night in an Aurora Bubble, or Kota, or maybe an Aurora sleigh ride. The details of these options can be found in the 'Personalise' section of this holiday page. The order of activities is always subject to change but this is planned to be your free day. The daytime is yours to enjoy as you wish. There are several optional activities available, please see the 'Personalise' section for more information. Alternatively, you may wish to utilise your new found skills and hire some cross-country skis or snowshoes to explore on your own. Lunch will be served in the hotel restaurant. After this evening’s meal it is time for another Aurora hunt. In the comfort of a minibus, your expert guide will check all weather and Aurora forecasts to pinpoint an area where your chances of seeing the Lights are at their best. The bus will hopefully allow you to outrun any local cloud cover and witness the Aurora dancing across the sky. You will be out for approximately two and a half hours this evening. Today is dog sledding day – a real highlight of any holiday to Lapland and an unforgettable experience. There are few means of transport that allow you to feel a greater connection to your surroundings than travelling in a sleigh pulled by a team of eager huskies. As you cover the 17km trail you and your team will begin to understand each other and start to work as a unit. Of course, a full safety briefing will be provided and your guide will give you detailed instruction before you set off travelling two people per sled. The safari will last for approximately two hours. 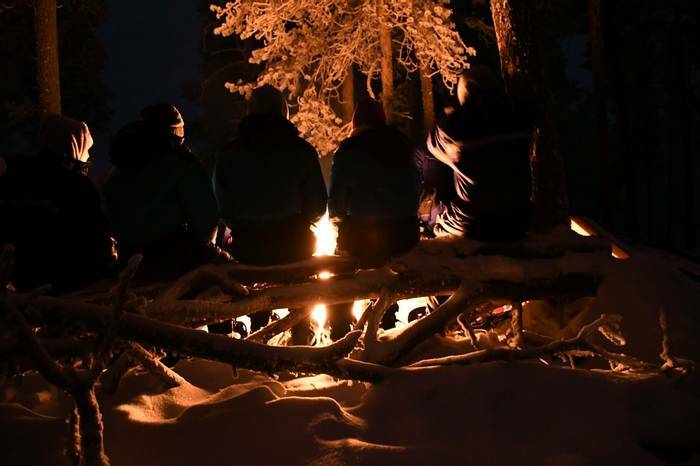 After the day’s exertions and another warming dinner in the hotel, you will head to one of Nellim’s Aurora Camps for an evening around a campfire. The camps have all been chosen by the expert guides here due to their views of the night sky and Aurora record. 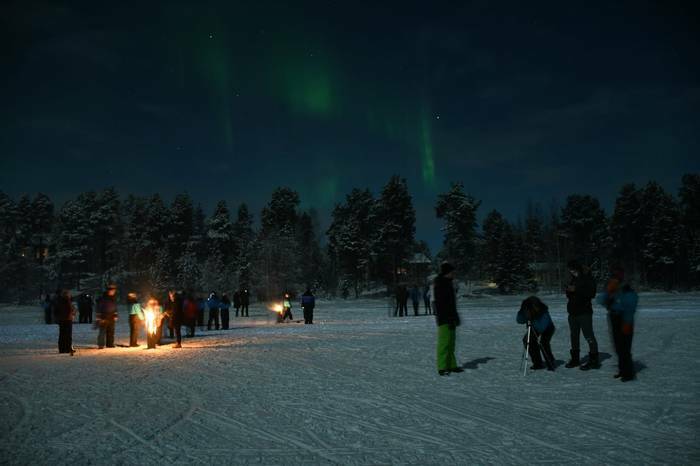 Guests gather together to watch it and wait for the Northern Lights, exchanging experiences with the group and enjoying a warming drink. You will be out for approximately two and a half hours this evening. When people think of Lapland their thoughts will most likely include images of reindeer and rightly so, as these animals are an integral part of life here. After a hearty breakfast, the group will travel on snowmobiles to a traditional reindeer farm. Upon arrival, the herders will provide an insight into their daily lives and will introduce you to some of their herd. Typically guests can enjoy feeding the animals and taking some great pictures of them up close. 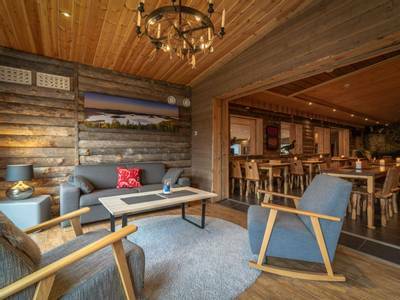 You will enjoy lunch and hot drinks around an open fire, before snowmobiling back to Nellim. You will be out for approximately five to six hours today. Tonight’s Aurora activity once again involves snowmobiles, this time utilising the mobility they provide to search for the Northern Lights. Your destination is likely to be another of the Aurora Camps where you will break and enjoy the peace of the Arctic night whilst hopefully gazing upon the Aurora. You will be out for approximately two and a half hours this evening. Today your adventure will come to an end and you will return home to continue the New Year with a head full of memories. Thank you - one of the most amazing things we have ever done - and definitely will do again. I would also say that the guides were all fantastic, but particular mention to Ben and Johnny who were knowledgeable, fun and couldn't do enough. Read more fortunate to get four consecutive nights when the aurora were visible. It was a magical holiday from start to finish. We saw the Northern Lights on three nights of our seven-night stay. Read more and the tour rep. Nothing was too much trouble. The hotel was a good size and there was never far to walk to facilities. The food was excellent and we all ate far too much, especially the outstanding salmon on New Year's Eve. This was made into a special occasion with fireworks and sparkling wine on the hotel lake. The activities were truly enjoyable and the guides showed great knowledge of Finnish culture and history as well as of the local wildlife. We were made to feel very special by them and they were very encouraging. They all had a great sense of humour and all activities were conducted at a pace to suit the party. Lunch cooked over a fire in the middle of nowhere in sub-zero temperatures was always a bonus together with sipping hot berry juice. We stayed in a two bedroom apartment which provided a kitchen and lounge in which to relax in our spare time - we were glad of this for our party of four. Saying this, the hotel bar and dining room were comfortable and welcoming and provided a good alternative for our down time. Having breathed in the clean air. listened to the silence, tried out new activities as well as having observed the beautiful landscapes and wildlife we are all eager to return to the country again. This was a great way to mark a significant milestone in my life and I won't forget it. Read more wall within half an hour. My hubby is a right fussy one with food, but the buffet service and range of food always meant that there was enough for him to eat and he tried lots of different food. I thought it was brilliant how if you were out on a day trip the guides took food and drink to cook on a campfire and warm you up. We enjoyed the traditional Laplandish meal on New Year's Eve, followed by sparkly wine and fireworks - a purely magical way to see in 2017. The itinerary for the week was a great mixture of free time and varying length activities and we liked how there was a free day built in where we hired some skis and did our own thing and hired the sauna. I think my favourite activity was the husky dogs - even though they were naughty and decided they wanted to do their own thing when they smelled a campfire... it did end up with us being rescued by a guide haha. I loved going into the pen with the puppies at the farm at the end and holding some husky puppies. All the activities were brilliant and the Aurora camps on a night time were enjoyable. We managed to see the Northern Lights twice while we were there and the phone texting Aurora alert service is a brilliant idea. We spent a night in the Aurora Bubble too, which was magical. I'd recommend that to everyone who went. We couldn't fault the holiday! I've just been sharing your website details on a December Brides facebook page and I've had a few people asking me questions about it. Thank you also for arranging a gift for us in our room to mark our honeymoon. That was a really thoughtful thing to do. We drank the champagne on New Year's Eve and the chocolates were a treat with a cuppa after being out in the cold. Temperatures for us were between -2 and -16 but it was getting colder the last few days and I know they were expecting -20s after we had gone. Thank you for recommending such a wonderful place to go. We've already said that if children come along in the future we are going back and we will certainly be coming back to yourselves to arrange it. I have never been anywhere that I have enjoyed so much. It was simply perfect! We had never done any of the activities before and all were enjoyable but if forced to choose, my favourites were the dog sledging and snowshoe trek. Read more activity was the husky dog sledding. The guides were very friendly and helpful and full of information and conversation. The evening campfires were good fun and enjoyable even without any Northern Lights to see! The guides were all superb - clearly determined to give us a good experience. Very kind and knowledgeable. The hotel staff were also fabulous and couldn't do enough to make sure we had a great visit. Hotel staff were very friendly and helpful, as were the guides. We really enjoyed the holiday, and it was a great way to celebrate our Silver Anniversary, (thank you for the champagne!). The holiday exceeded our expectations, and we would recommend the holiday to our active, fit friends. Thank you for recommending Nellim to us, we loved it! The local guides were absolutely brilliant. The hotel was very good and the food was excellent.